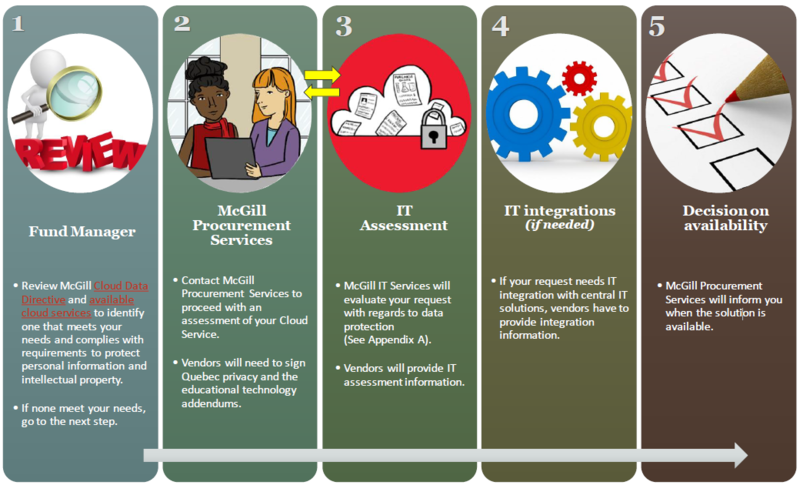 Cloud Services used at McGill must undergo a formal vetting process to assess their ability to protect personal information and intellectual property. This document describes the process for procuring Cloud Services for your faculty, department or unit. It also provides related information about McGill's Cloud Data Directive. Download Cloud Procurement for Fund Managers.